A man’s man is a man who engages in activities that are traditionally viewed as masculine, and who earns the respect of other men. Such men may also be described as “manly,” emphasizing their masculine personality. They tend to be domineering, confident, and bold, because these character traits are reinforced by traditional gender roles. Theodore Roosevelt coined the phrase, “speak softly and carry a big stick,” and he lived that way. 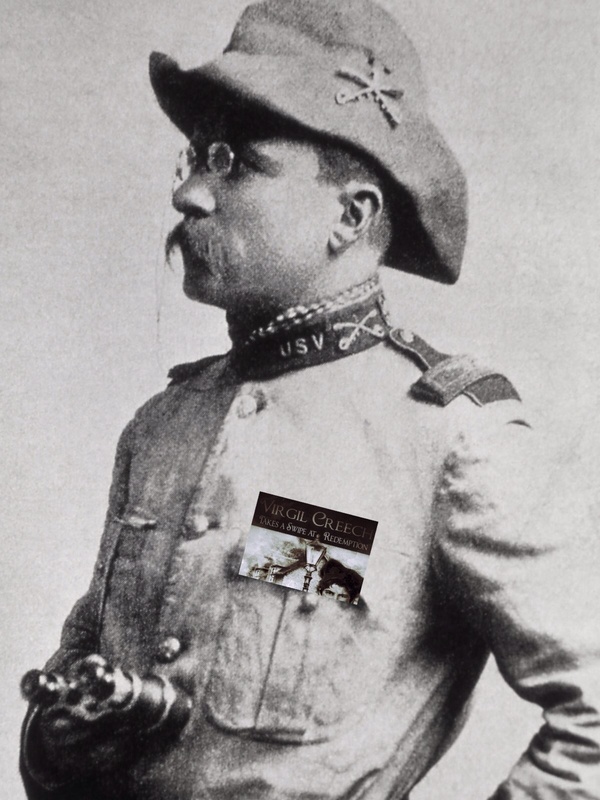 Cowboy, Rough Rider, Colonel during the Spanish-American War, big game hunter. He was the definition of the term man’s man. AND, this picture would indicate that he carried Virgil Creech like a field manual through it all. Everything is subjective, and I am sure I’m missing someone. But these are my two picks. Yours?